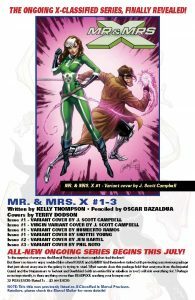 Kelly Thompson/Oscar Bazaldua Introduce MR. & MRS. X! 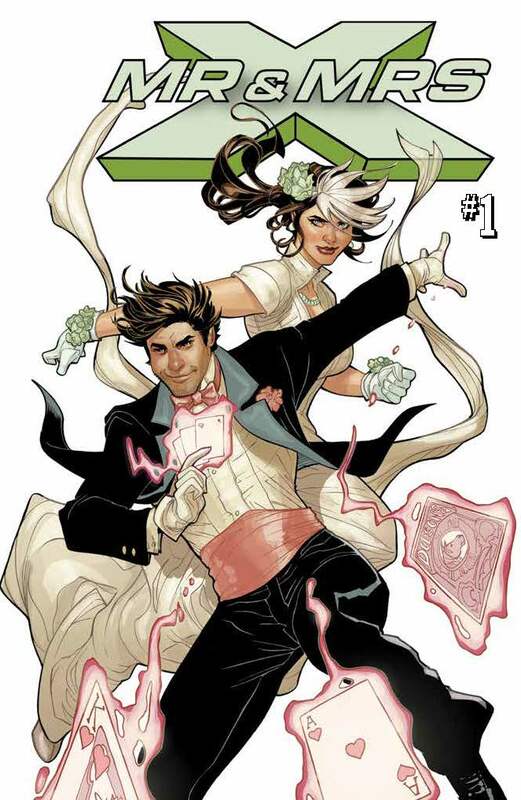 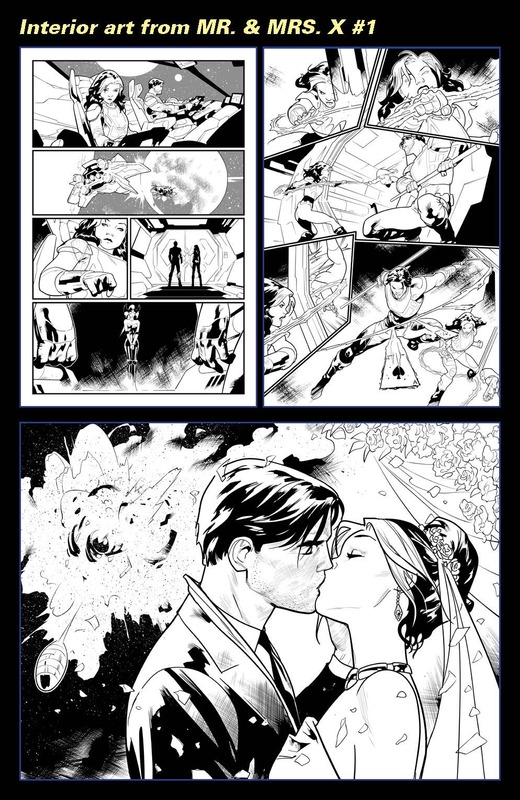 It was the wedding of the century, but not the wedding anyone expected – and it all culminated in Marvel’s most shocking twist in comics in years! 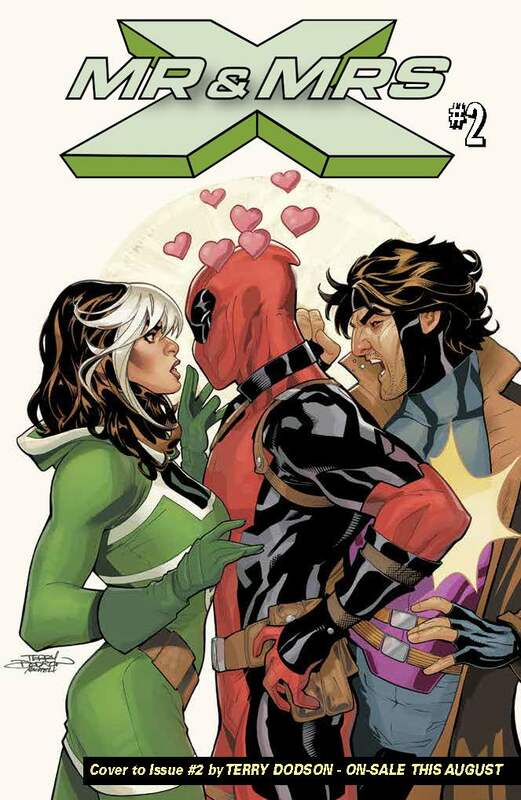 For months, fans waited, ready to read about the fateful day that Kitty Pryde would finally wed Colossus…only to find out that the much-hyped-about wedding simply wasn’t meant to be! 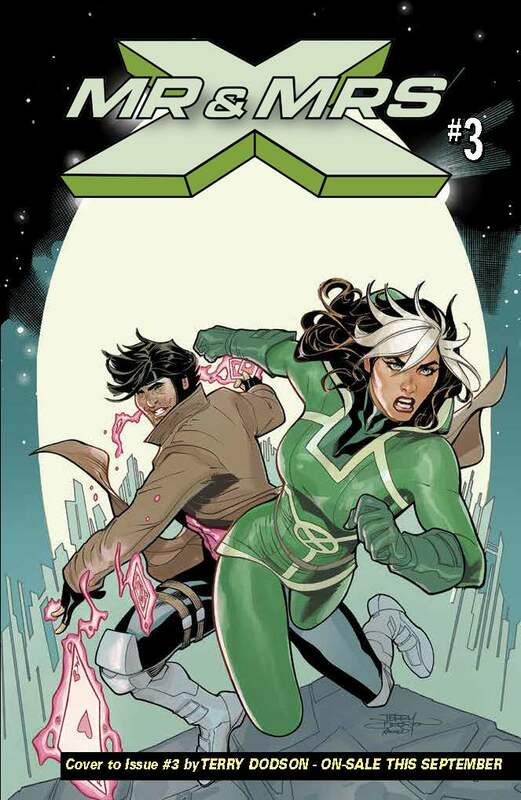 Please note: This title was previously listed as X-Classified in Marvel Previews. 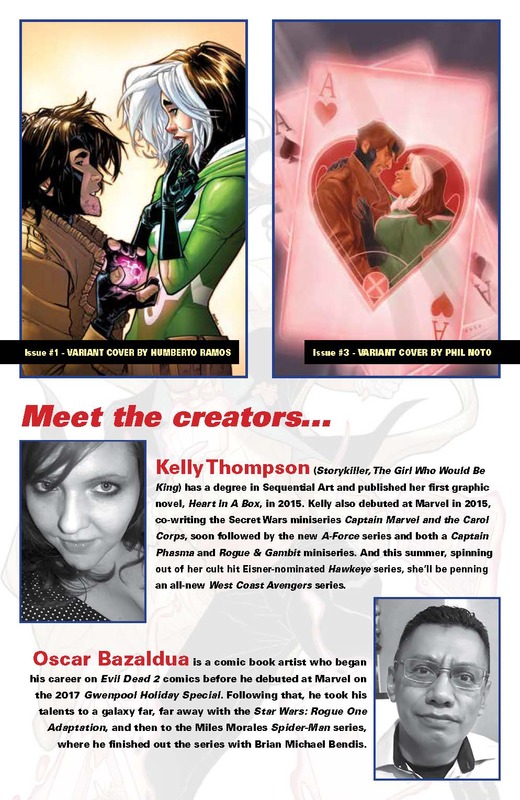 Retailers, please check the Marvel Mailer or Diamond for more details on how to increase any orders and to find updated listings.